The Honda D16Y8 is a 1.6L 4-cylinder VTEC engine with a single overhead cam (SOHC). Right off the production line in 1996 it had 127 hp and 107 lb-ft of torque. The engine was only produced for four years before it was replaced by the Honda D17 series engine, however it is still popular to this day. Honda D-Series engines were produced from 1986 to 2007 and powered some of the most popular Honda models throughout the 1990’s. 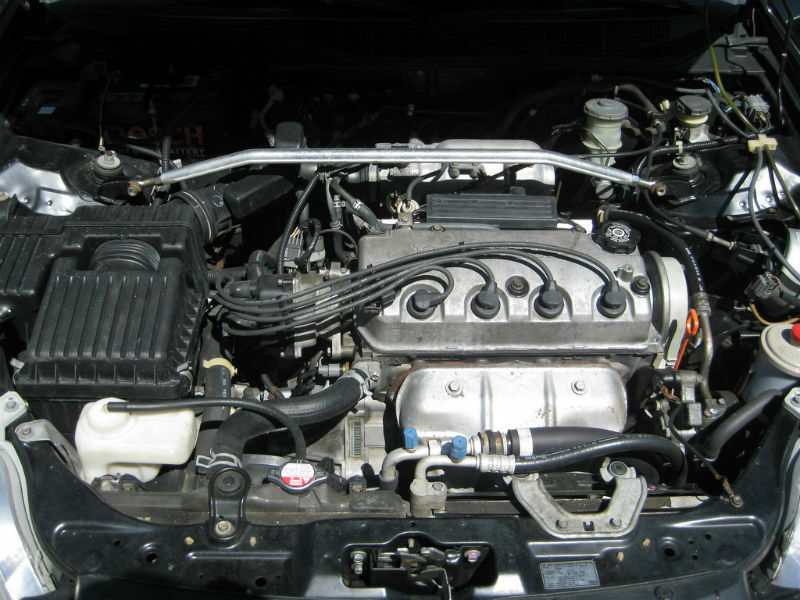 In the United States the D16Y8 engine was found in Honda Civic EX models from 1996 to 2000. It also appeared in the Honda Del Sol Si until 1997. The UK version of the Honda Civic EX and Coupe were powered by the D16Y8 as well. In Canada, this engine was found in the Honda Civic Si (1996-2000) and the Acura 1.6 EL (1997-2000). 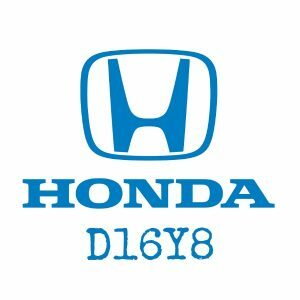 The D16Y8 replaced the D16Z6 engine in the sixth generation Honda Civic EX starting in 1996. The Honda Civic EX had significantly more horsepower than the engine found in the base model. The D16Y7 base model engine had only 106 hp compared to 127 hp in the D16Y8 with VTEC. In 2001 the D16Y8 was phased out in in favor of the D17A2 which had larger displacement thanks to a longer stroke and other modifications. Although this engine had a short production run, it is still a popular engine due to its lightweight design and swap compatibility. For a 1.6L engine, the D16Y8 packed a powerful punch. What made this engine in the Civic EX special was the Variable Valve Timing and Lift Electronic Control (VTEC). This technology allows the engine timing to be automatically adjusted at low and high RPMs for maximum performance. The engine produced 127 hp at 6,600 rpm and 107 lb-ft of torque at 5,500 rpm. Redline was at 6,800 RPM and the rev limit was 7,200 RPM. Although this engine is marketed as a 1.6L, it had a displacement of only 1,590cc or 97 cubic inches. Bore was 75.0 mm (2.95 inches) and stroke was set at 90.0 mm (3.54 inches). Finally, the compression ratio was 9.6:1. The Honda D16Y8 engine uses an aluminum alloy block as well as an aluminum cylinder head. The alloy construction helps keep the engine lighter, and light engines mean better acceleration and better fuel consumption. To compensate for the strength given up because of the aluminum block, steel cylinder liners are installed. This considerably increases the engine strength and helps the engine be durable even when the engine is modified. The valvetrain of this engine is a single overhead camshaft. This engine has 4 valves per cylinder, 2 intake and 2 exhaust, for a total of 16 valves on the engine. The D16Y8 was a great engine in the Honda Civic EX and Del Sol Si without too many problems or complaints. In fact, it is still a popular swap engine for those looking to upgrade from previous versions of the D16 engine without VTEC. Ultimately, this engine was phased out for the D17A2 in 2001. Although it was only produced for 4 years from 1996 to 2000 it remains a popular replacement engine. Not to mention there is an overwhelming amount of aftermarket parts available at reasonable prices. A few of the easiest ways to get more horsepower out of this engine include a cold air intake and turbo add-on.